For many vets, the time spent going to school and learning how to be a veterinarian was what they thought would be the hardest part about landing their dream job. But once you’ve opened your own practice, you might find a whole new world of problems that you have to learn how to address. One of the biggest ones is likely going to be how to get the word about your business and bring in new clients and patients. So to help make this journey a little easier on you, here are three tips for marketing your veterinary clinic or animal hospital. One of the best ways you can connect with your target demographic is to build up a relationship with them online. To do this, you might want to consider creating a blog where you talk about yourself, your business, and your love of animals. But if you choose to go this route, Kerryn Ramsey, a contributor to VetPracticeMag.com, advises that you take care to write the right type of content. Many vets create content that’s too medical. When they do this, they don’t make themselves accessible to their average client, who’s someone who loves their animals but don’t necessarily know a lot of about the science behind everything. So while you might be tempted to share all your vast knowledge in your blog content, try to keep the majority of what you’re writing a little more general and accessible. Being a vet can be a great advantage to you when it comes to sharing on social media. Some of the best posts that people share involve cute animals. And as animals is your job, it completely makes sense for you to be sharing posts that features pictures of adorable animals. According to Tayler Grossman, a contributor to YourDigitalResource.com, most vets do well when they focus their social media efforts on platforms like Facebook, Twitter, and LinkedIn. Just make sure you’re sharing content that your followers will want to share with their followers so you can maximize the exposure your posts are getting. If you’re wanting to do some marketing that doesn’t take place online, VetSpace.com, shares that you might want to try setting up some type of incentive program based on referrals. When someone is looking for a new vet, they’re likely going to speak to their friends and neighbors to see if they’ve had a great experience with their vet. By encouraging your patients to refer others to you, you might be able to bring in a lot more business for yourself. Try to partner with other businesses in the pet industry to see if you can offset some of the costs for your referral incentive gifts. 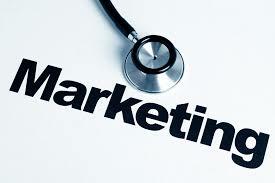 To help you grow your veterinarian business, consider using the marketing tips mentioned above.